Home • Pet Blog • Cat Sneezing: Does Your Cat Have a Cold? Are you tired of the sneezing, coughing, and runny nose going on at your house right now? We’re not talking about you or even your kids. We’re talking about your furry little ball of energy, otherwise known as the cat. Obviously, any person is susceptible to catching a cold or sinus infection. However, did you know that your cat could suffer from the same ailment? However, not all sneezing is a sign of a respiratory infection. Cats, just like people, can sneeze for a lot of reasons. If you have noticed your cat sneezing a lot, but he or she doesn’t show any other symptoms, such as discharge from the eyes or nose, or acting more lethargic than usual, then it’s probably nothing to worry about. However, if you notice your cat has a runny nose or eyes and doesn’t seem to have the usual amount of energy then he or she might be suffering from an upper respiratory infection. First, clean any discharge from the face with warm, moist cotton. Try to get your cat to eat by warming up some canned food. Make sure your cat has plenty of fresh water. If your cat is a kitten, then you should probably seek professional help right away. Call your family veterinarian. Although kittens should always be seen if they are suffering from these types of symptoms, sometimes mature cats need veterinary help as well. Having your cat visit an experienced veterinarian can lead to the proper diagnosis. This is especially important if your cat has stopped eating. In that case, X-rays and blood tests can be performed to determine if there are other complications. After you visit your family veterinarian, there are some things you can do to help your cat feel better. Just like people often do when they have colds or sinus problems, you can run a humidifier to help keep your cat’s nasal passages moist. 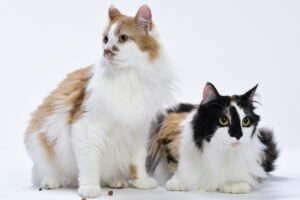 If your cat has any kind of bacterial infection, then your veterinarian will likely prescribe an antibiotic for you to give to your fur ball friend. If you are dealing with the worst-case scenario and your cat refuses to eat, then call your veterinarian right away. 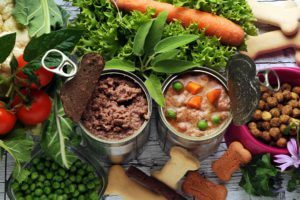 In this case, your cat may need to be fed at the hospital through an IV in order to ensure he or she is receiving the proper nutrition. Of course, prevention is always better than treatment. By taking a few extra steps you might be able to keep your cat healthy instead of having to try to take care of it after a virus hits. One of the best ways to prevent certain viruses is by having your cat vaccinated according to the schedule recommended by your family veterinarian. If you are ever unsure about any aspect of your cat’s health, call your family veterinarian. That’s what the doctor is for!